Beverage companies Coca-Cola, Red Bull India and Goldwin Healthcare are locked in a fresh battle with research institutes and consumer advocacy groups, this time over the cap on caffeine levels in energy drinks. To end the fracas, the Food Safety and Standards Authority of India, a regulatory body of the health ministry, has asked all stakeholders to come out with their views on the matter before a final decision is taken. According to the Prevention of Food Adulteration (PFA) Act & Rules, caffeine levels in "carbonated beverages" should not exceed 145 mg per litre. However, activists against caffeine have said that typically energy drinks have caffeine levels to the tune of 320 mg per litre - way above the permissible mark. 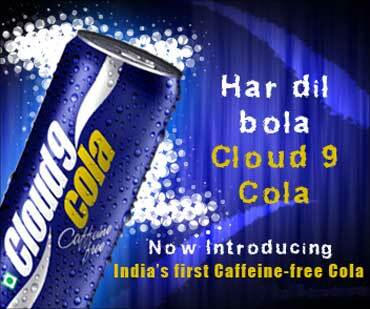 The brands in the market are Coca-Cola's Burn, Goldwin Healthcare's Cloud Nine and Red Bull India's Red Bull. 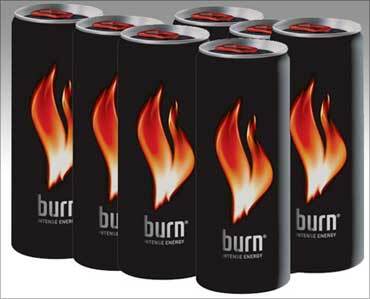 Image: Coca-Cola's Burn energy drink. Energy drink makers have argued that being clubbed under the category of carbonated beverages under PFA Act & Rules is incorrect since these products are actually "proprietary" in nature and in that category there is no cap on caffeine usage. "The label on the can clearly indicates that we are proprietary food," said an executive from an energy drink firm who requested anonymity. "PFA Act & Rules does have the category of proprietary foods; otherwise how could we operate in the country? Under this category, there is no cap on the caffeine levels." These companies have demanded a new category called "energy drinks" in which there should not be any cap on caffeine. Companies such as Red Bull India, which is one of the leading players in the Rs 200-crore (Rs 2 billion) category, have had frequent run-ins with regulatory authorities such as the Food & Drug Authority of Maharashtra. Last year, it had seized large Red Bull stocks during multiple raids on its distributors in Mumbai. The matter then moved to the courts, which gave a verdict against Red Bull since the caffeine levels were above the permissible limit for carbonated beverages. Image: Last year a court gave a verdict against Red Bull. A spokesperson for Red Bull India said: "It would be speculative on our part to say anything at this stage since the matter is being discussed. 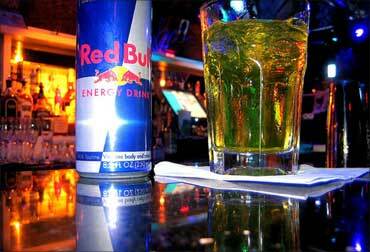 But Red Bull fully complies with regulations in each of the 160 countries across the world where it is on sale. This includes India where the product has been legally marketed since 2000 as a proprietary food under PFA Act & Rules." Legal experts, on their part, said that the term 'proprietary foods' is actually loosely defined in the PFA Act. "Everything that is not standardised is treated as proprietary," said a legal expert with a fast-moving consumer goods company. It is this loose definition that institutions like the Centre for Science and Environment (CSE), which have been closely associated with the preparation of legislation on food, have said the energy drinks manufacturers are taking advantage of. Kushal Pal Singh Yadav, a researcher and coordinator on food safety issues at CSE, said: "There is no category called proprietary foods under PFA Act & Rules. The energy drink firms use this loose definition to legitimise the high incidence of caffeine in their products. The caffeine levels have to be regulated in beverage products. That is what the law of the land prescribes." He also said that it would be incorrect to create a separate category for energy drinks: "By asking for a separate category these firms once again are seeking to legitimise the high level of caffeine in their products." Image: Goldwin Healthcare's Cloud Nine. Vote! Who will be the next Tata chairman?